Update 29 January 2019: M Khanfar has updated us and noted that CubicSDR now works on the custom kernel too, and he has provided full installation instructions here. A video showing it in action can be seen on YouTube. Thanks to the work of Lucas Teske, GQRX is now able to connect to SpyServer servers. SpyServer is the IQ streaming server software solution developed by the Airspy SDR developers. It can support Airspy and RTL-SDR devices, and can be used to access these SDRs remotely over a network connection. It is similar to rtl_tcp, but a lot more efficient in terms of network usage, meaning that it performs well over an internet connection. On a previous post we have a tutorial about setting up a SpyServer with an RTL-SDR. The code modified by Lucas is the gr-osmosdr module, and Lucas' code can be downloaded from his GitHub at github.com/racerxdl/gr-osmosdr. It doesn't yet appear to have been merged into the official osmocom branch. 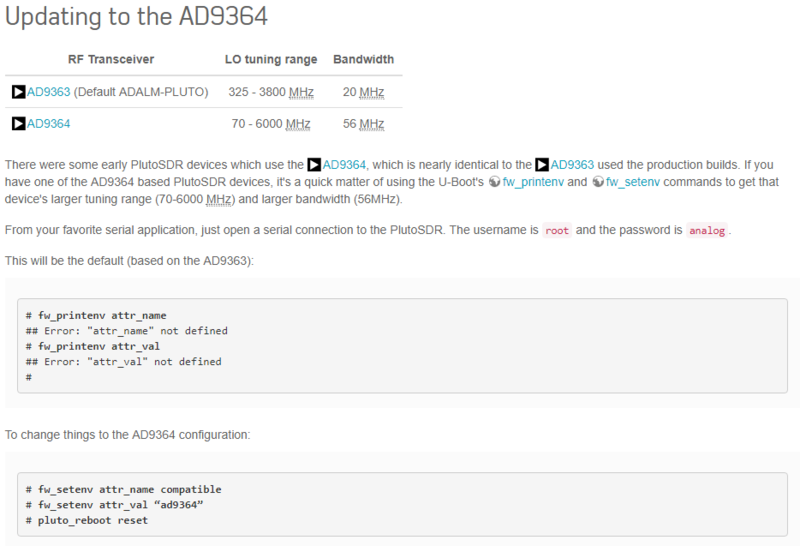 The gr-osmosdr module is a generic block used to access various SDR hardware, so any software that utilizes it (such as GNU Radio) should be able to connect to a SpyServer connection too. Over on his YouTube channel AVT Marketing has uploaded a new beginner friendly video that shows how to easily install and use GQRX on a Raspberry Pi single board Linux computer. 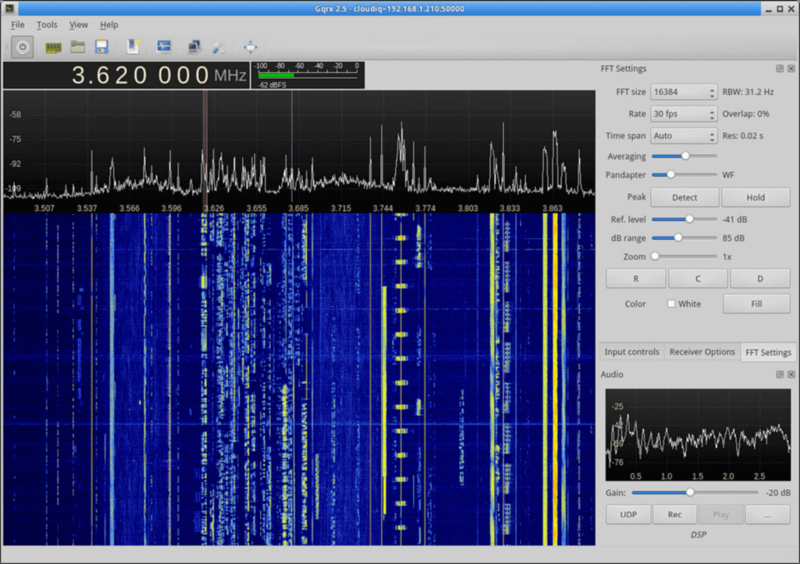 GQRX is a Linux based general purpose SDR receiver program which is compatible with the RTL-SDR. The Raspberry Pi 3 has enough processing power run this software easily with the RTL-SDR. The tutorial is a 2-part series, with the first video showing how to install the software from scratch. AVT shows every necessary step including installing git, cmake, build-essential, getting and installing the drivers from the Osmocom github and installing libusb. For someone very new to Linux this tutorial is a simple step by step start. The second video goes on to show how to actually use GQRX on the Raspberry Pi. OSX users often don’t have much choice when it comes to general purpose SDR receiver software for the RTL-SDR or other SDR’s. 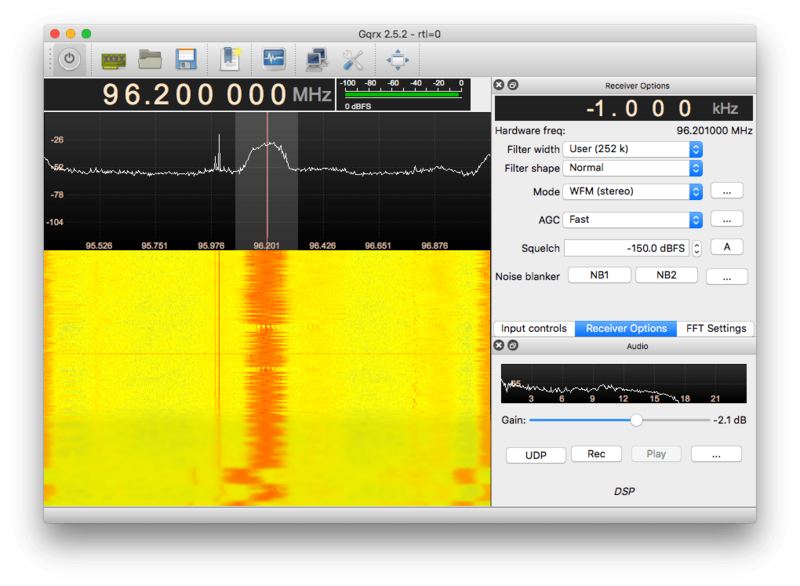 However, one program that works well on Macs is GQRX. Installing GQRX on OSX can sometimes be difficult as the most common installation method involves using Macports, which won’t always work depending on the version of OSX you are using. Recently, OSX and RTL-SDR user smittix wrote in to use to let us know that there is now a very easy way for El Capitan OSX users to install GQRX. Basically the GQRX team have now released a DMG file which can be downloaded and installed just like most other easy to use applications. Using the DMG file smittix was able to get up and running within 5 minutes. 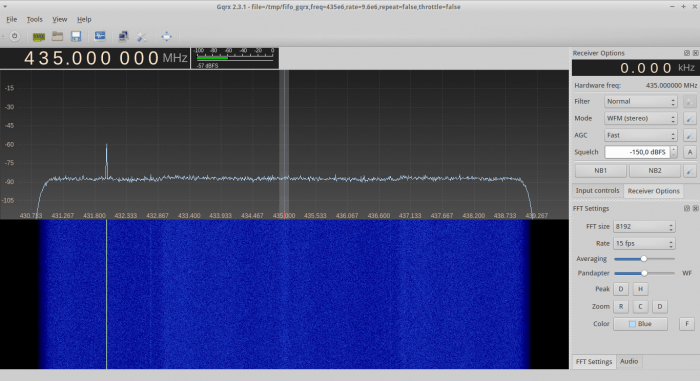 Combining the bandwidth of multiple RTL-SDRs: Now working in GQRX! A few days ago we posted how Oliver, an RTL-SDR experimenter, managed to (incoherently) combine the bandwidths of two RTL-SDR dongles to create a 4.4 MHz FFT display in GNU Radio. Now Oliver has taken this idea further and produced an updated version of his GNU Radio program. Oliver’s GNU Radio program is now capable of combining four RTL-SDR dongles and is now also capable of piping the output via a FIFO to GQRX. With four RTL-SDR dongles you can get a total bandwidth of 8.4 MHz. He also writes that it is even possible to listen to analog signals that are in overlapping areas. Four RTL-SDRs producing a total of 8.4 MHz of bandwidth in GQRX.